Putting away an outdoor Christmas lights display can be easy if you follow some simple rules and instructions. Holiday lights don’t have to get tangled and broken! Light sets have to come down. They aren’t designed to face the weather all year. But be careful in removing them. 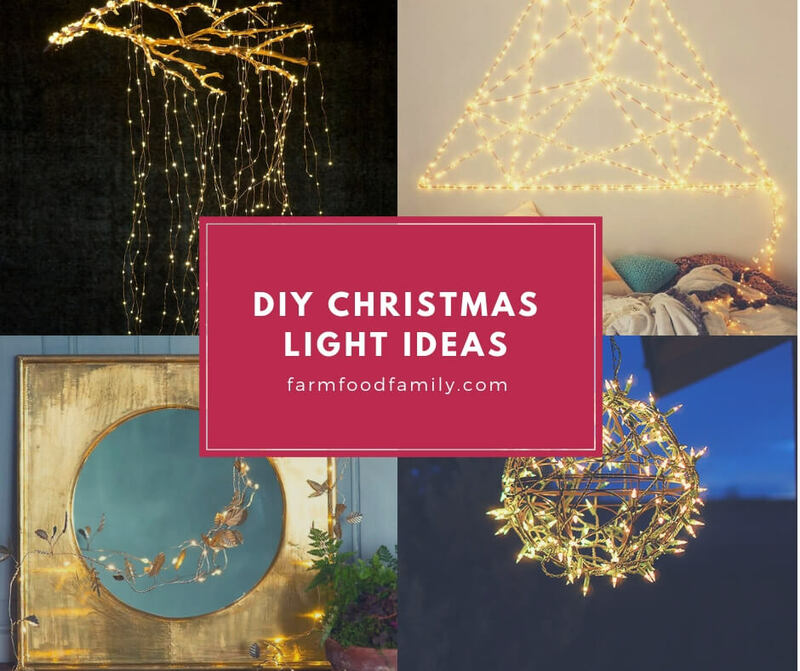 If you don’t put them away properly, you’ll start next year’s decorating by facing a bunch of tangled wires and broken bulbs. Take photos of your light display. A visual record of where the lights went will help you next year if you want to duplicate this year’s display (or avoid making this year’s mistakes). Take the display down, one section at a time. As you take each section down, label the strands, extension cords, and other components the way you labeled the bags. When you unpack the components to set up next year’s display, the label on each component will tell where to install it. If you can’t find a replacement and have to wait for next year when holiday lights reappear in stores, jot down a note about the set—kind of lights, number of lights, and so on—and put the note in the bag that you’ve labeled for the component. Next year, when you dig out your equipment to put up the lights, you’ll have a note in the bag, ready to remind you of what to buy. Roll up the strands of lights. Lots of products will help you store the strands without tangling them into knots. Hardware stores and Christmas-light companies sell hand-held reels, each about a foot long, that are made to hold lights. For extra-long strands, you can get giant spools like the ones for garden hoses. But a cheaper tool is the humble paper-towel tube. Wrap a strand of lights around the tube, tuck the strands’ ends into the tube’s hollow interior, and tape the lights and tube together. For strands that run too long for a single tube, try a long pole or broomstick. Put each component in the appropriate bag. Seal the bag to keep moisture and other elements out. Put the bags full of lights and accessories in large plastic tubs with lids. If possible, have a separate tub for each group of lights and accessories—one tub for the lights that go on the roof, another tub for tree lights, another for walkway lights, and so on. Label each tub. Put the tubs in a safe, dry place. Protect yourself and your holiday-light display. A few basic rules and instructions can keep your holidays worry-free and keep your Christmas decorations safe. If you can’t be home, don’t turn on your holiday-lights display. Leaving a lighting display unattended is an invitation to fire. Speaking of which, be fire safe. Replace burnt-out light bulbs as soon as possible. A dead bulb in a strand interferes with the proper flow of electricity. It’s important to replace a light bulb rather than just remove it; children can stick their fingers in an empty light socket. Replace the bulb with one of the exact same size and wattage. Don’t put electric lights on metal trees. Keep the bulbs from drying the trees out (and turning them into a fire hazard) by setting them in water, but don’t let anything electrical get near the water. Anchor the trees (and anything else that you place on your property and light up) so that no sprinting child or gusting storm can knock them down. It’s better to use one long extension cord rather than several small ones. Keep cords away from metal, moisture and hot places such as heaters, fireplaces or furnaces. Don’t run extension cords from inside your house to your outdoor display. Connecting Christmas lights to indoor outlets takes a lot of extension cord, which can have a lot of places to wear out. The danger of wear and tear is especially high if you run a cord under carpets, close to furniture or through doorways—places where people are likely to step on it. Instead, have an electrician install outlets outdoors. Never touch a lit holiday-lights display. Don’t let pets and children touch a lights display. If you can’t be sure that you can make kids and animals avoid the places where you put the lights, then don’t put a lighting display on those places. This instruction may make tree lighting tricky, but it can help to prevent fires. This arrangement will keep the bulbs’ burning filaments from heating the branches and prevent moisture from settling in the bulbs’ sockets. Keep your display away from moisture. Place outlets, plugs, cords and other equipment in sheltered areas that stay dry during storms. Cover the display with something waterproof, like tarpaulins or plastic sheeting. Secure this shielding tightly so that it protects the display against coming loose in a high wind. If you’ve attached lights to free-standing items like Santas or reindeer, take the items inside.